Statesville Real Estate - Find Your Perfect Home For Sale! Swedish Realtor® licensed in NC & SC, with domestic and international relocation experience and expertise. My specialty is to guide and assist clients who are new to the real estate market in the Carolinas and/or who are looking for guidance, assistance or consultation. Making the transition from one home to another smooth and a positive experience. I am fluent in English, Swedish and conversational in French. Destination Services Consultant since 2013. Experience, Generosity, Flexibility, Teamwork and Accountability lead to Extraordinary Results. 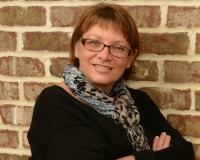 "We had an amazing home buying experience with Marie Schyberg as our agent! She was extremely thorough with her work while being laid back and an all over pleasure to be around! She left no question unanswered and was on top of every detail of the process! We are so thankful to have had Marie as our agent. We are in love with our new little home and couldn't have done it without her. I highly recommend anyone looking for a home to let Marie and her associates find the right fit for you!" Date last updated: April 25, 2019 8:28 PM The data relating to real estate on this Web site derive in part from the Carolina Multiple Listing Services, Inc. IDX program. Brokers make an effort to deliver accurate information, but buyers should independently verify any information on which they will rely in a transaction. All properties are subject to prior sale, change or withdrawal. Neither RE/MAX Executive nor any listing broker shall be responsible for any typographical errors, misinformation, or misprints, and they shall be held totally harmless from any damages arising from reliance upon this data. This data is provided exclusively for consumers personal, non-commercial use and may not be used for any purpose other than to identify prospective properties they may be interested in purchasing. © 2019 Carolina Multiple Listing Services, Inc. Property vs Zip Code Average data source: Inside Real Estate.